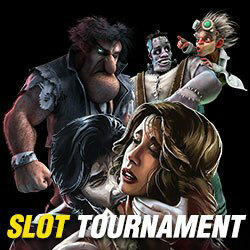 Win up to $400 in the Halloween Slots Tournament at Intertops Poker and Juicy Stakes Casino until Oct. 28! Starting Monday, a two-week Halloween slots tournament begins at Intertops Poker and Juicy Stakes Casino. This spooky tournament features three ghoulish games from Betsoft. 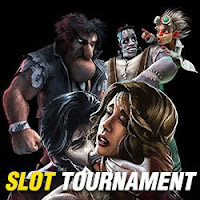 The casinos have chosen three frighteningly fun slot games for their Halloween slots tournament: Blood Eternal, Dr. Jekyll & Mr. Hyde, and Frankenslot's Monster. Last month the casinos increased the prize pool for their monthly slots tournament and they're once again putting up $2000 in prizes for the top 16 players. 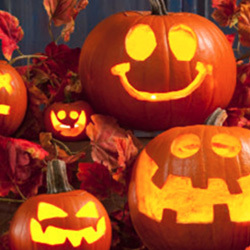 "We're lucky to have such great games for Halloween," noted Intertops Poker's casino manager. "Betsoft is really at their best in games like Blood Eternal." In Frankenslot's Monster, Dr. Frankenslot has finally built a terrifying creature that players control during a thrilling bonus round. Scatters can trigger 8 free spins and during free spins there up to three electrified Wilds.